Morden Hall is a beautiful exclusive use wedding venue set with in 125 acres of National Trust parkland in South London. This stunning venue is just 30 minutes away from Central London, yet it is worlds away from the hustle and bustle of the city. Complete with elegant ceremony rooms, stylish bar areas, an exceptional dining space and breathtaking gardens, this 18th century country house has been designed with love, resulting in wonderfully unique and memorable experiences. This beautiful stairway can be decorated with flowers and foliage, creating the perfect wedding ceremony entrance point for brides. Brides can emerge after getting ready in the private bridal preparation room upstairs, the journey is seamless and stress-free. Upon entering Morden Hall through private gates, you are instantly transported to a peaceful and otherworldly romantic haven. The house itself allows bright and natural light to stream through the tall windows, illuminating charming decor and details curated by bridal parties and the in-house events team. 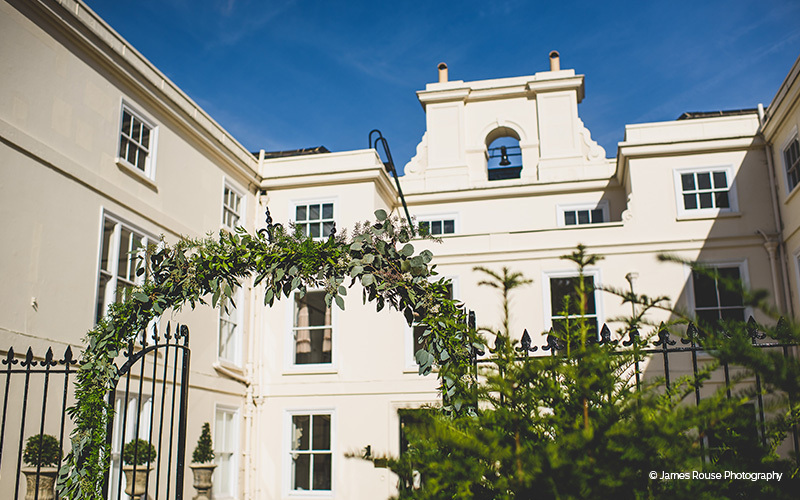 Set across two floors, this iconic property has everything you'll need for your special day under one roof, including a stunning private bridal preparation room. Morden Hall is situated right beside the picturesque River Wandle, just five minutes’ walk from the London Underground in a tranquil oasis of private grounds. 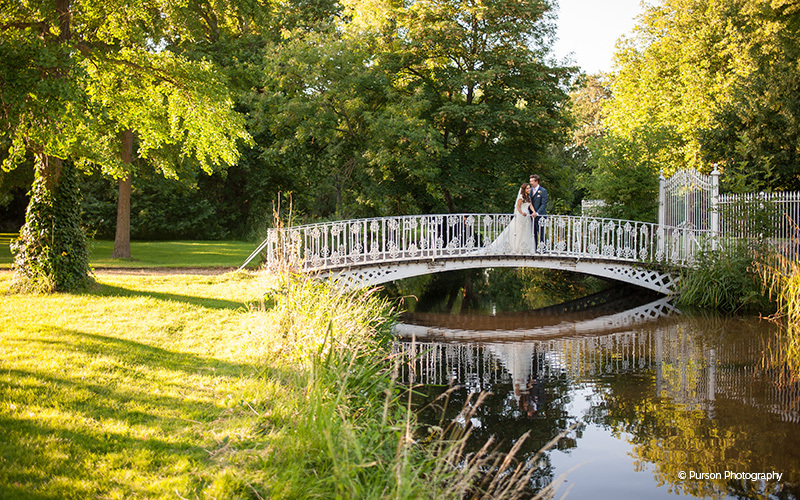 Gather your bridal party outside for a perfect 'town and country' style photo shoot beside the river, capturing natural memories that will last forever. This sort of backdrop is very hard to come by in South London and really sets Morden Hall apart from other private venues. Exceptional food and service is key to every wedding, making for a great talking point and some much needed dancing fuel. The catering team at Morden Hall, Galloping Gourmet, provides an outstanding catering and full event co-ordination for your special day. Dietary requirements and personal preferences are taken into account, whether you're looking for casual dining affair or a show-stopping deluxe feast! With a fully customisable bar area, bridal parties are able to curate their own bespoke bar for their special day. If you have a penchant for vintage whisky, specialist gins or wine, you can fill up the shelves behind the bar with your bottles of choice. The bar is spacious and can be decorated with flowers, fairy lights etc. Why not create a custom wedding cocktail menu for your guests?